Valipouri, A. (2015). Fabrication of Biodegradable PCL Particles as well as PA66 Nanofibers via Air-Sealed Centrifuge Electrospinning (ASCES). Journal of Textiles and Polymers, 4(1), 15-19. Afsaneh Valipouri. "Fabrication of Biodegradable PCL Particles as well as PA66 Nanofibers via Air-Sealed Centrifuge Electrospinning (ASCES)". Journal of Textiles and Polymers, 4, 1, 2015, 15-19. Valipouri, A. (2015). 'Fabrication of Biodegradable PCL Particles as well as PA66 Nanofibers via Air-Sealed Centrifuge Electrospinning (ASCES)', Journal of Textiles and Polymers, 4(1), pp. 15-19. Valipouri, A. Fabrication of Biodegradable PCL Particles as well as PA66 Nanofibers via Air-Sealed Centrifuge Electrospinning (ASCES). 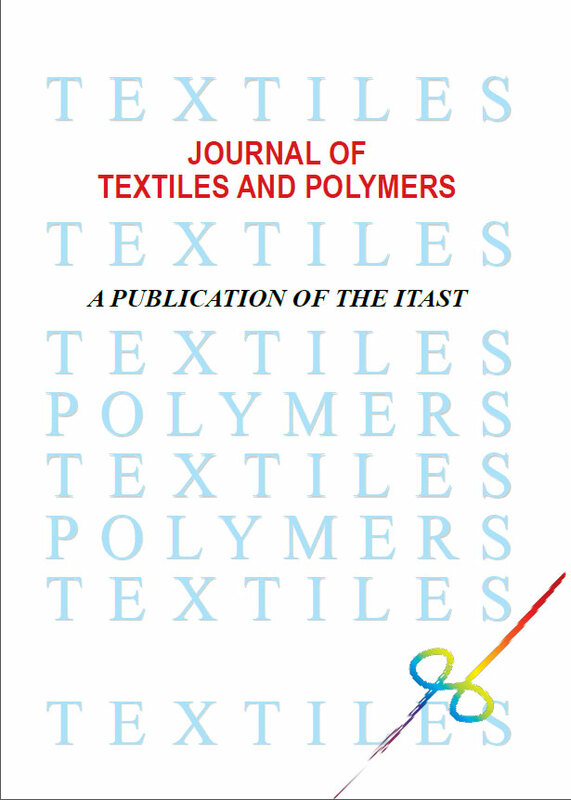 Journal of Textiles and Polymers, 2015; 4(1): 15-19. This study presents a method for fabrication of ultrafine polymeric nanofibers as well as nano/micro particles utilizing centrifugal and electrostatic forces simultaneously. To reduce the diameter and variety of nanofibers produced from solid state polymerized PA66, a unique electrocentrifuge spinning device was utilized with a rotating nozzle and collector, while the fabrication process (spinning head) was securely sealed from ambient airflow. An electric field was applied between the nozzle containing the polymer solution and the cylindrical collector. Due to centrifugal force, polymer solution was ejected from the nozzle tip and extended by the centrifugal force as well as the electrical force. The diameters of nanofibers were controlled by adjusting the solution concentration, the rotational speed of the spinning head, the syringe’s content and the applied voltage. Field emission scanning electron microscope (FESEM) results demonstrate that this air-sealed centrifuge electrospinning (ASCES) system has a unique ability to produce high quality ultrafine nanofibers from SSP PA66 polymer. The good control of parameters led to the production of fibers with mean diameter of 63 nm. It is also shown that this technique has a good ability to fabricate particles of poly (ε-caprolactone), like electrospray ionization. the wheel? ", Adv. Mater., vol. 16, pp. 1151-1170, 2004. "Controlling the Fiber Diameter during Electrospinning", Phys. Rev. Lett., vol. 90, p. 144502, 2003.
on morphology of electrospun poly(vinyl alcohol) mats", Eur. Polym. J., vol. 41 pp. 423-432, 2005.
design and nanofibre assemblies", Nanotechnology, vol. 17 pp. Nanotechnology vol. 17 pp. 1558-1563, 2006. Electrical and Centrifugal Forces as a Novel Method ", Curr. Nanosci., vol. 6, pp. 545-552, 2010. K. Sarkar, C. Gomez, S. Zambrano, M. Ramirez, E. d. Hoyos, H.
Vasquez, et al., "Electrospinning to forcespinningTM", Mater. Today, vol. 13, pp. 12-14, 2010. Meng-Hua Xiong, Yan Bao, Xian-Zhu Yang, Yan-Hua Zhu, and J.
Wang, "Delivery of antibiotics with polymeric particles", Adv. Drug Deliver. Rev., vol. 78, pp. 63–76, 2014. Hybrid Nanoparticles", Materials, vol. 7, pp. 4057-4087, 2014.
in Delivery Science and Technology). Springer US, 2012. Spinning", J. Ind. Text., vol. 45, pp. 368-386, 2015.